Whether its use is mission-critical or just to make your job a little easier, agricultural demand for rugged mobile technology is increasing. Our handhelds keep up with the latest agriculture technology innovations, and our customers are using them to help track livestock with RFID, manage farm inventory, run irrigation control systems and more. We offer affordable rugged options that you can depend on. It isn't hard to see why construction workers require rugged equipment. But what might not be so obvious is how construction workers can use rugged computers. From carrying blueprints to the field and not having to worry about wind or rain making a mess of the paper, or doing on-site job calculations, to keeping track of on-site inventory, rugged mobile computers can increase efficiency, decrease costs and help keep jobs on track. You could say that all the work our computers do is environmental work, since holding up to any environment is exactly what these handhelds are made to do. With the help of our fully rugged mobile computers, biologists, scientists and environmental consultants have journeyed to one of the coldest places on Earth to collect sea ice samples, used precise GPS information to speed cleanup of oil spill sites after a tornado, and inspected and monitored stormwater assets to comply with federal reporting requirements. No matter the environment, our devices have you covered. Forestry, by its very nature, takes workers into tough outdoor environments. We've had customers use our devices for timber cruising, GPS navigation, wildlife surveying and other types of forest management. From silviculture to wildfire management, the mapping, imaging and reporting capabilities of today’s rugged handhelds are an essential part of keeping our forests healthy — and forest workers efficient. Geographic information systems (GIS) capture, manage and analyze geographically referenced data. To gather GIS data or to create maps using GIS data usually requires users to be out in the field, often in remote locations. And increasingly, companies and government agenciesare using GIS data to track the location, features and quality of their assets. Either situation warrants a device tough enough to withstand the environment, and feature-rich enough to get the job done. Technology for logistics management is no good if it can’t dependably keep tabs on all your important goods and data. 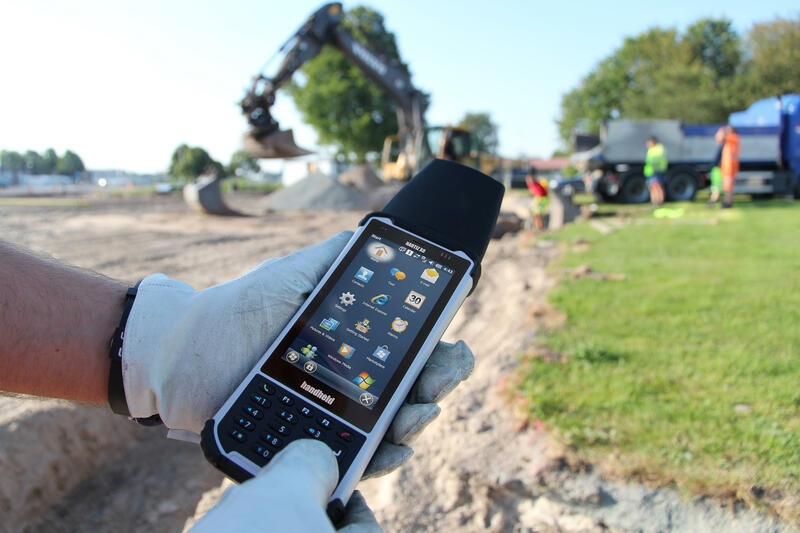 Our customers around the world trust our truly portable, fully rugged handhelds with all their distribution and supply chain management tasks. With fast processors and powerful scanning capabilities, our computers are a reliable fit for logistics operations in even the toughest environments. The military generally sets the standard for tough devices of all kinds. Even the standards we use to rate the ruggedness of equipment is a military standard. So, it’s no surprise that rugged mobile devices find their way to the battlefield and myriad support assignments. You'll currently find our devices, used by NATO troops, in Iraq and Afghanistan as well as other remote regions of the world where ruggedness, dependability and long battery life are vital. The mining and drilling industry uses handheld computers to handle timekeeping, vehicle tracking, maintenance, supplies deliveries and real-time communication with the back office. The advantages over a paper-based system are obvious: data collectors greatly streamline job functions, data errors are reduced and labor costs are minimized. Mining and drilling naturally takes place in an extremely harsh environment, so the computer solution has to be tough enough to withstand challenges like vibrations, dust, moisture and temperature fluctuations.